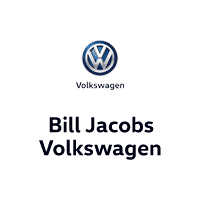 Here at Bill Jacobs Volkswagen, we take pride in serving our customers. Having been one of the more established Volkswagen dealerships in Illinois for quite some time, we make top-quality service our number one priority. Our parts and service departments are among the best in the state, and our knowledgeable staff is always readily available to answer any questions that you may have. A BBB A+ rated VW Dealer! Highly rated dealer – 4.7 on cars.com, 4.3 on Google and 4.2 on Facebook. Bringing in your vehicle to have it serviced or maintained is a breeze, and our experienced technicians will make sure that you are in and out in a hurry. Bill Jacobs Volkswagen encourages you to stop by and experience, first-hand, what the hype is all about. But first, here are a few more reasons why you should buy from us. It is our honor to provide preferred pricing for individuals who have fought and served our country. It’s just another way to save on the high-quality and durable vehicles that we have to offer. Nobody understands the inside of a Volkswagen vehicle better than our very own in-house technicians. Feel safe and secure knowing that they’ll get the job done right the first time around thus, saving you time, money, and energy. While your vehicle is being worked on, you can lounge in our one-of-a-kind guest lounge which includes free Wi-Fi, complimentary Starbucks coffee, shuttle service, and a play area for kids. We are proud to say that we are consistently ranked with the highest rated customer satisfaction in Illinois. Our customer service department makes the car buying process fun, easy, and efficient. Purchasing a new vehicle is an exciting experience. Leave out all guesswork and allow our top-rated professionals to seat you in a vehicle that you’ll be sure to fall in love with. If you have any questions regarding any of our new or pre-owned vehicles, be sure to contact us at (866) 207-1972.